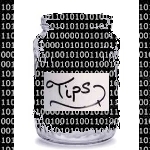 The careless users guide to avoiding & fixing common computing mistakes.–PC Pitstop. OPERATING SYSTEM: Keeping Windows up to date is also a critical security chore, and one that too many users skip. Hackers discover new vulnerabilities in the world’s most popular operating system every month, and Microsoft issues critical security updates of Windows and other MS applications as fast they’re fixed. Obtaining this free protection is as easy as enabling Automatic Updates in Windows; just set it and forget it. Bob Rankin computing mistakes. permalink. Isn’t this why I have PCMatic? I’m tech-duh, so I’m relying on PCMatic to deal with this. So what should I check with that, then? Your 5 points are quite clear. It’s just that “some” people require daily reminders. Question: land line phones connected via (like comcast)running thru the computer -can bad guys use a phone call / or ? as access? thx , D.M. The only dumb question is the unasked one, Ed. You’ll back up the virus, too. Run your antivirus software daily, and do your best to keep.them out. That means downloading updates to your Antivirus software regularly. Virus writers have the upper hand. It’s an ambush. The best way to handle an ambush is to charge it, take the momentum away from the enemy. The virus wars are only going to get worse. Be agressive. Clean up, back up, take the time to run scans, download the latest signatures. I am with Bob up to the point of automatic updates. Too often it happens that a person leaves a computer, comes back to it and it doesn’t work anymore. Hours are spent trying to fix this only to discover that it was a Windows update which did it and rolling that back fixes the issue. You want to know when something like updates occur. Set it to give a notification of available updates but do not let them install automatically because after a few days you will have forgotten that this happens and when trouble surfaces you will not remember. well, i do all 5 of these so it looks like i’m doing pretty good. This may sound like a dumb question but…if I have a virus on my computer and do a complete back-up, what keeps the virus from getting backed-up too? The point is to have the back-up made BEFORE the infection. Once the computer is infected a back-up will maintain the infection as well. Do a complete virus and malware scan. Remove anything found to be bad. Then do the back-up. While Windows itself, or other programs installed on your computer may do periodic back-ups, they won’t know if the system is already infected. That is why you have to do your own periodic scans and back-ups.